After almost 60 years caring for wolves, Utah’s Hogle Zoo is set to transfer lone wolf, Angel, and end its participation with the North American Gray Wolf species. 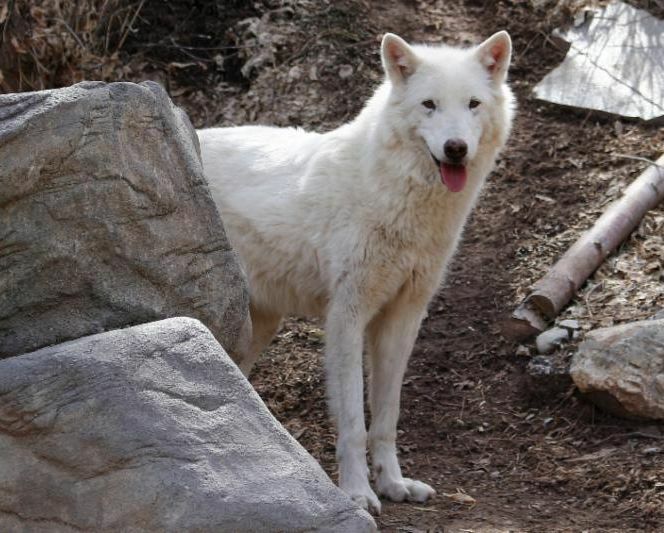 After Glacier passed away in the fall of 2018, Hogle Zoo began working on the best possible situation for remaining wolf and companion animal, Angel. The Association of Zoo and Aquariums works with the Species Survival Plan to ensure healthy, thriving populations of animals born and bred in zoos. Gray wolves currently have healthy numbers in the wild and are not considered endangered, therefore, the zoo SSP is no longer participating in managed populations of the species. Meaning, zoos are not breeding gray wolves so acquiring wolves gets complicated. Angel, for instance, was brought in to keep Glacier company after senior wolf, Neph passed away in 2017 at 14 years of age. Without a pack here at Hogle, Angel, a senior herself at almost 12 years, will be sent to a wolf sanctuary in the Northwest. Angel’s transfer will happen once the winter storms subside both in Salt Lake City as well as the Northwest. This entry was posted in News: Press Release, Press Release on February 21, 2019 by Jay. Faster than a speeding rhino, more powerful than a thundering elephant . . .From super‒strength to bionic vision; invisibility to lightning speed, animals have amazing powers! Put on your mask and cape and join us to learn all about the super‒heroes of the animal world. Each day includes crafts, stories, games and animal encounters. We’re jumping into the pages of our favorite “tails.” Huff and puff with the big bad wolf, pucker‒up to a frog, pay a visit to our three bears and catch up with the tortoise and the hare, as you explore our Zoo “Jungle Book.”You’ll become part of some exciting animal tales and discover the real animals behind these tales..Each day includes crafts, stories, games and animal encounters. Hopping, dancing, wiggling and crawling are just a few ways animals move. Jump into our camp all about animal movement! Join us to discover how animals get from one place to another. Each day includes crafts, stories, games, and animal encounters. These activity‒filled days are designed to get kids moving and learning on the go! Experience the savanna of Africa, the rainforest of South America, and the arctic of Alaska all in one week! Discover and meet some of the animals that call these places home and explore their amazing adaptations as you “travel” the world with us! It is a real feast with the beasts here at the Zoo! Discover who eats what‒ and who at the Zoo –as we explore the many hunting and dining techniques of the animals. Who hasteeth just like you? Who doesn’t have teeth at all? You’ll have a ripping and tearing good time as we “gnaw” on uncovering the true “foodies” of the animal kingdom. Each day includes animal encounters, stories, games, and crafts. Do lions like catnip? Are monkeys always playful? What is a special treat for an elephant? How do zookeepers get the animals up and moving to spark their curiosity? Through enrichment! Spend the week learning how the Zoo “spices up” the lives of animals through different types of enrichment. What would you think if you had a three‒foot nose or tall and twisted horns? Observe animals from head to toe as you explore the Zoo and find out why some creatures have such unique features. We will take an up‒close look at feather, fur, fangs and feet to decide if the Zoo’s animals have fearsome features, or if they are just merely curious creatures! Each day includes some special encounters of the animal kind! Go behind the scenes to get an insider’s view of what it takes to care for animals as small as a cockroach and as big as a rhinoceros. Explore how our zookeepers care for our animals as well as cultivate their healthy lifestyle. Discover what animal enrichment is and why Utah’s Hogle Zoo uses it. Learn about the Zoo’s wildlife conservation efforts and get an insider’s look at the veterinary hospital. Why are animals vanishing all over the globe? What can you do to make a difference? We will take you on a journey to explore endangered species recovery and how Zoo’s work to keep animals from becoming endangered in the first place! From polar bears to orangutans, elephants to lions and toads to tortoises, we are working to make a difference. Get right down to the DNA of the problem and learn what you can do to help in this fun‒filled camp! This entry was posted in Uncategorized on February 7, 2019 by Jay. SALT LAKE CITY – Nora the polar bear broke the humerus bone (from shoulder to elbow) on her front, right leg Wednesday night, presumably from her signature style of roughhouse play. “She’s a very rambunctious bear,” said Lead Keeper Kaleigh Jablonski. “It’s not unusual to watch her head-dive into the snow without any hesitation. She just plays rough.” Nora is currently off exhibit as veterinarians assemble a team of specialists to move forward on treatment for the three year-old bear. Keepers found her Thursday morning on exhibit but unwilling to move. They monitored her closely for the next two days but Nora didn’t budge – not even to interact with her keepers, which is unusual. By Saturday morning, Nora made her way into the back-holding area allowing the Zoo’s Animal Care team better access. A full physical examination was performed Sunday, including X-rays, which confirmed Nora had broken her humerus bone, rendering her unable to walk. 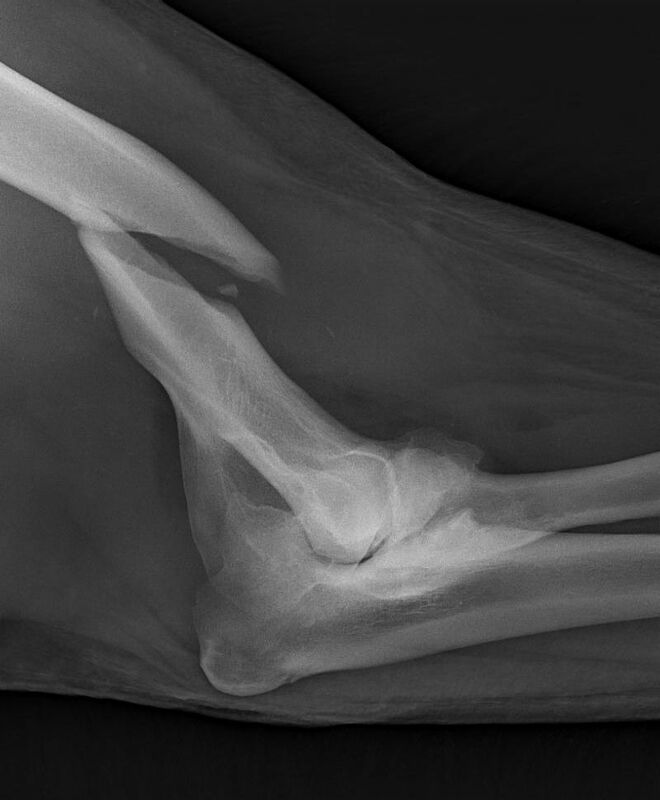 Veterinarians consulted with numerous zoos, veterinary surgeons, radiologists and human orthopedic specialists across the country regarding bone breaks in young bears. It is noted at least three bears of Nora’s age have fractured bones in their legs from playing too hard. A large animal orthopedic team from Texas A&M, a human orthopedic surgeon from the University of Utah Medical Center and a veterinary anesthesiologist from North Carolina State University will be performing Nora’s surgery, Monday, February 4. The procedure will take the bulk of the day and will involve heavy-duty orthopedic hardware such as plates, screws, pins and nails. DePuy Synthes and Ethicon, Johnson & Johnson Medical Devices companies, are providing veterinary equipment for the surgery. The 500-pound bear had metabolic bone disease as a cub. The Nora Team has analyzed the X-rays and believe Nora is a good candidate for surgical repair. Her bones will be assessed during the procedure. During the post-op period she will likely require additional anesthetic procedures for follow-up X-rays to see how the break is healing. Should the fixation break, she may require additional procedures. Either way, Nora will be off exhibit for the next several months. 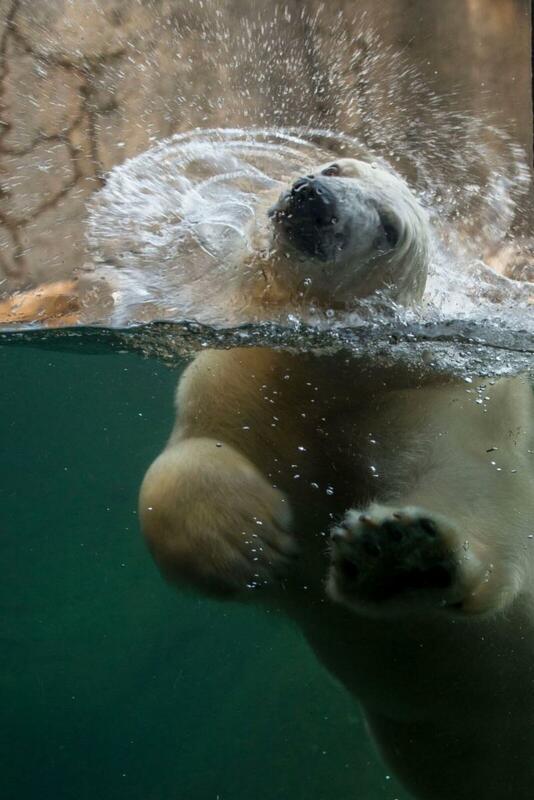 Nora arrived at Hogle Zoo in the fall of 2017 to be paired with then two year-old polar bear, Hope. Born at the Columbus Zoo and Aquarium, the beloved bear then spent a year at Oregon Zoo before making Salt Lake City her home. Her fun-loving, playful nature – often called “silly” by her throngs of Facebook fans – have made her an arctic superstar. She’s known for her inquisitive nature with guests, putting all kinds of objects on her head and spying on her neighbors, the seals and sea lions. “Nora is one of the most special, most charismatic animals of our Hogle Zoo family,” said Dr. Erika Crook, Hogle Zoo Associate Veterinarian. “We have reached out far and wide to find experts to give her the best chance possible to get back on her feet. She’s in very good hands.” Nora is currently on pain medications and is in her back-holding area. In typical Nora fashion, she is in good spirits and is still finding ways to play. This entry was posted in News: Press Release, Press Release on February 1, 2019 by Jay. Click on the highlighted dates to see what’s happening that day! Meet the zoo’s leading lover of all things creepy and crawly, Spiderella! Find your way through the Pallet Maze! But, keep an eye out for Severus Snape and his partner in crime Bellatrix, those two are always causing mischief. KBULL & B98.7 Listener Appreciation Night. Visit either website for a $5 off coupon! This night only! This entry was posted in Indexed Content on October 1, 2018 by Jay. The young female hit the ground – literally – Monday, September 17 at 3:33am. Giraffes face up to a 5-foot fall when they’re born! The little pile of limbs was immediately cleaned up by mama, 16 year-old Pogo, and was standing up nursing within the hour. When she was born, Georgetta weighed 150 pounds but as of today, Thursday, she is 5′ 9″ tall and weighs 163 pounds. Giraffes have been an important part of Hogle Zoo since 1969, and the Zoo is proud of the 18 successful giraffe births over that time period. Mom and baby are doing great. They’ve been spending the last few days bonding. They will be taking advantage of this nice weather and will be greeting guests, as baby and mostly mom allow, during the first half of the day. Learn more about giraffes here. This entry was posted in News: New Babies, News: Press Release, Press Release on September 21, 2018 by Jay. Utah’s Hogle Zoo is pleased to introduce our new baby zebra! Born June 2, the striped gal has been bonding with mom, Ziva. Yet to be named, she weighs roughly 74 pounds and is the second Hartmann’s Mountain Zebra ever born at Utah’s Hogle Zoo (there were Grevy’s Zebra born at the Zoo in the ’80s). The first Hartmann’s for Hogle Zoo was last year when baby Poppy burst on the scene, born to mom Zoey. Ziggy, father to both babies is doing well and remains mostly unconcerned with what’s happening. Baby is doing great, nursing regularly, working on her kicks and mama is proving to be a wonderful first-time mom. This entry was posted in News: New Babies, News: New To Our Collection on July 9, 2018 by Jay. 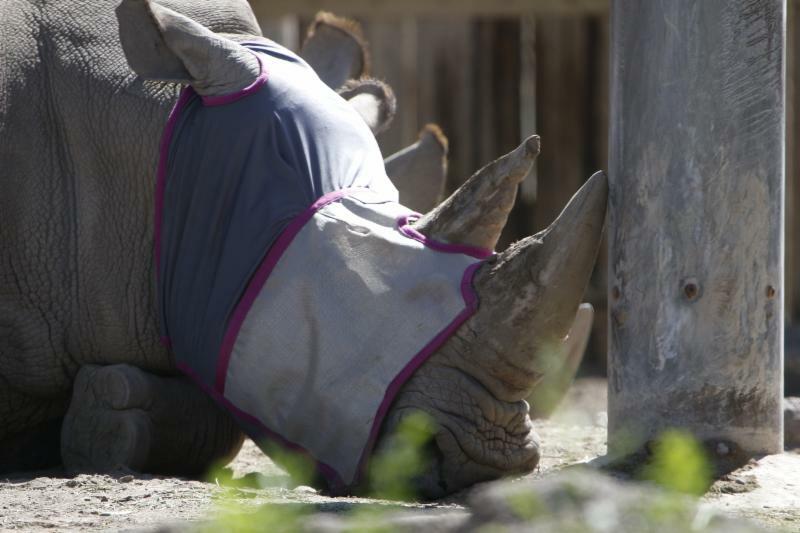 Utah’s Hogle Zoo, along with community partners, create custom fly-mask for rhino, Princess. SALT LAKE CITY – Each spring, like clock-work, the pollen picks up, the flies come out and white rhino, Princess, gets red, swollen, irritated eyes. She’s always had seasonal allergies and every spring it would just flare up,” said zookeeper Melissa Farr. “With the pollen and dust and flies, our routine to keep her comfortable was to flush her eyes and treat her with ointment.” But it was only mildly effective and keepers wondered what they could do to prevent it. Many, many phone calls and emails later, Team Princess got to work. Layne noted Horseware Ireland worked with their supplier in China for the pattern, making Princess’ fly mask an international work of art. But getting the mask delivered was just the beginning. 39 year-old Princess, a senior citizen rhino, still had a long road ahead of learning what the fly mask was and why her keepers wanted to put this thing over her face. She needed to learn she could still see and eat while wearing it and her brother, 41 year-old George, also had to learn what this new grey and pink item was.Keepers began a process called ‘desensitization’ – getting the animal to be less-sensitive to new and different stimuli. Once Princess was used to wearing the mask, they put her outside in the small holding yard to let her get used to shadows and get her footing. Princess has been comfortable wearing the fly mask and is doing great and George doesn’t seem bothered by his sister’s new accessory.The partnership between Utah’s Hogle Zoo, A.A. Callister and Horseware Ireland has brought immeasurable relief to Princess, peace of mind for her keepers and an interesting talking feature during a visit to the rhino yard. “There are a lot of people who have never seen a horse fly mask or worry that Princess can’t see at all or that she’s blindfolded,” said keeper Lauren LeCoque. “It’s been fun to show them what her view is like – we tell them it’s like she’s wearing sunglasses.” The Zoo’s education team fashioned some sunglasses out of the same mesh so guests can get a glimpse of what it’s like wearing the mask. This entry was posted in News: Press Release, Press Release on July 9, 2018 by Jay. 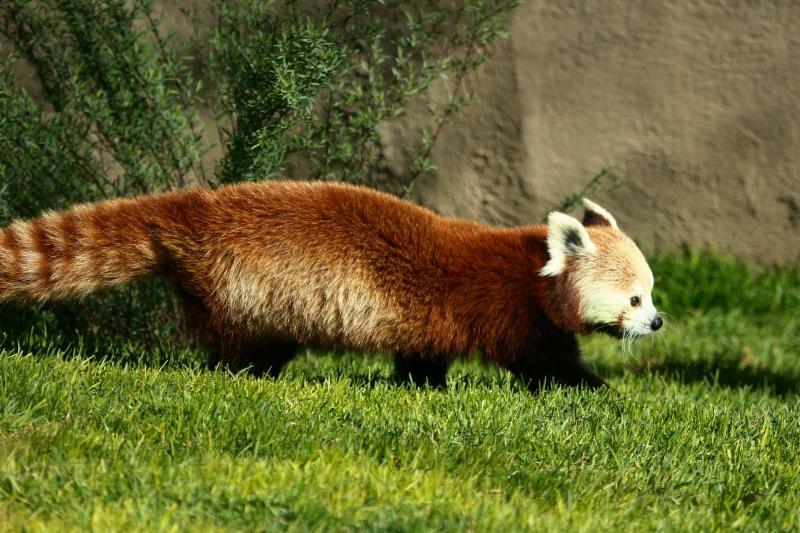 After close to a decade,Utah’s Hogle Zoo welcomes back the much-missed Red Panda. Salt Lake County Mayor, Ben McAdams, joins the festivities Wednesday, May 2, 11:30a as the Zoo cuts the ribbon on the Janet Quinney Lawson Red Panda Exhibit. McAdams will be joined by Patrick Leary, Chief of Staff for Mayor Biskupski; Vicki Bourns, Director of the Utah Division of Arts and Museums and Representative Brian King. It has been close to a decade since Zoo guests have ooohed and ahhed over this cuddly-looking creature. Red Pandas were a long-time guest favorite until Hogle Zoo had to make room for Rocky Shores. Now, eight years later, the Zoo welcomes a four year-old male and a seven year-old female from Reid Park Zoo in Tucson, AZ. The two red pandas have been acclimating to their new exhibit which features close to 360-degree viewing; two areas for nose-to-nose encounters and views from the upper dining deck in Asian Highlands. Their new home is also equipped with cooling spots and a recirculated water feature. Red Pandas are an endangered species native to the eastern Himalayas and southwestern China. Often confused with a raccoon or fox, the Red Panda is mainly active at dawn and dusk and mostly eats bamboo. Thick, red fur covers their entire body, including the soles of their feet, to help conserve body heat. This entry was posted in News: Press Release, Press Release on May 1, 2018 by Jay. 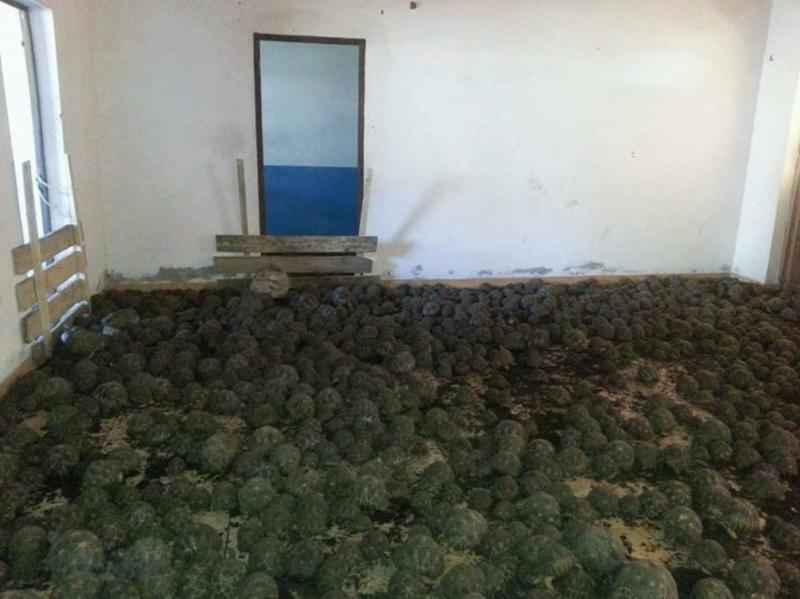 On Tuesday, April 10, more than 10,000 critically endangered radiated tortoises were discovered by police in Toliara, Madagascar, in a private residence. The floors of virtually every room in the house were covered with tortoises that had no access to food or water. Hundreds have since died from dehydration and illness. Saving the Radiated Tortoise from extinction is one of Hogle Zoo’s most important animal programs. The Zoo has had a long-time relationship with both the Turtle Survival Alliance (TSA) and the people of Madagascar, and has jumped in to help in the emergency rescue effort. The Zoo sent a veterinary technician to administer healthcare to the rescued animals as well as offer husbandry support in the way of building more holding pens and shade structures for the overflow of tortoises. 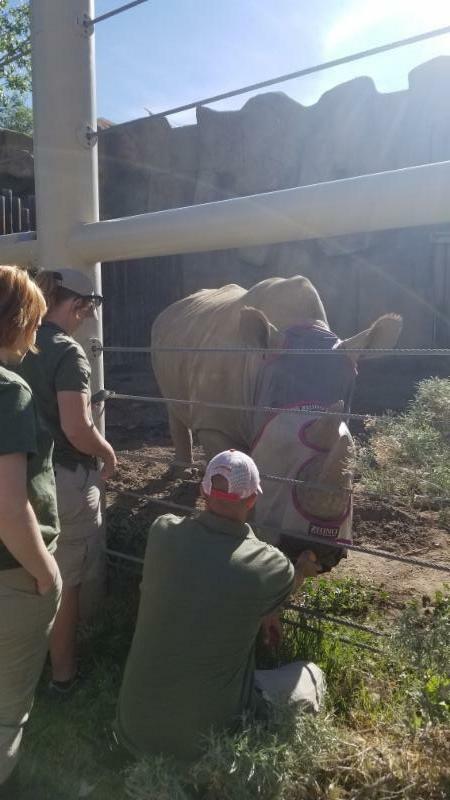 Hogle Zoo and TSA are joined by fellow AZA institutions that have also dispatched medical supplies and animal experts to help with the crisis. “I don’t think the word ‘overwhelming’ comes close to describing what the Turtle Survival Alliance is dealing with here,” said Rick Hudson, President of the TSA. “We were already caring for 8,000 tortoises in Madagascar, now that number has more than doubled overnight.” Hogle Zoo and the TSA built a conservation center that cares for and rehabilitates confiscated animals in 2015. 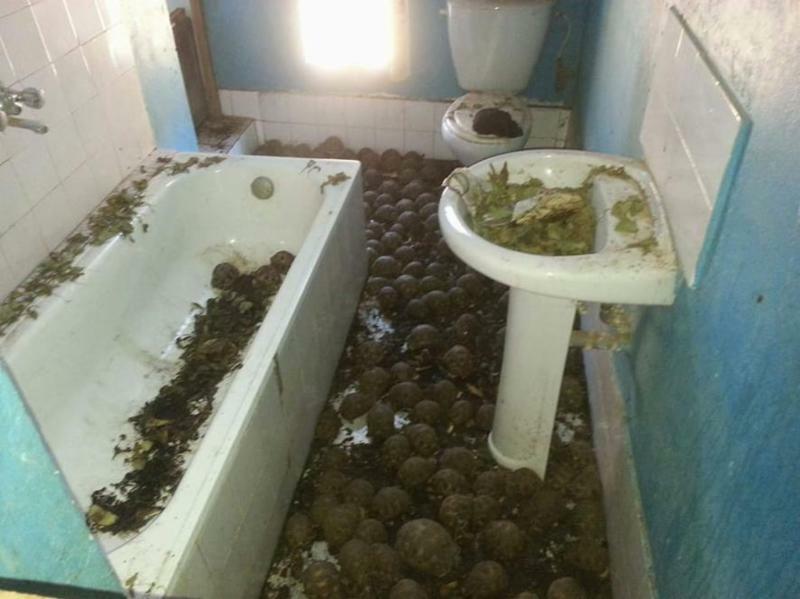 It is not known how long the tortoises have been in the house, some arrests have been made, the local police and their partners continue their investigation. It is believed the tortoises were collected for the illegal pet trade, possibly for shipment to Asia. The tortoises’ highly-domed shell features a brilliant star pattern making them highly prized. It is estimated that Radiated Tortoise populations in the wild have declined by more than 80 percent in the last 30 years, a rate that will render them extinct in the wild in less than two decades. Castellano along with a Hogle Zoo reptile keeper will be among the next wave of support sent to the region. Reptile experts will be training Madagascan keepers in proper husbandry methods for tortoises, including how to monitor their health, food intake and growth. This entry was posted in News: Press Release, Press Release on April 25, 2018 by Jay. Hogle Zoo Announces Exciting News! SALT LAKE CITY (Feb. 7) – Utah’s Hogle Zoo is excited to announce the addition of not one, but two red pandas making their way to Salt Lake City this spring! 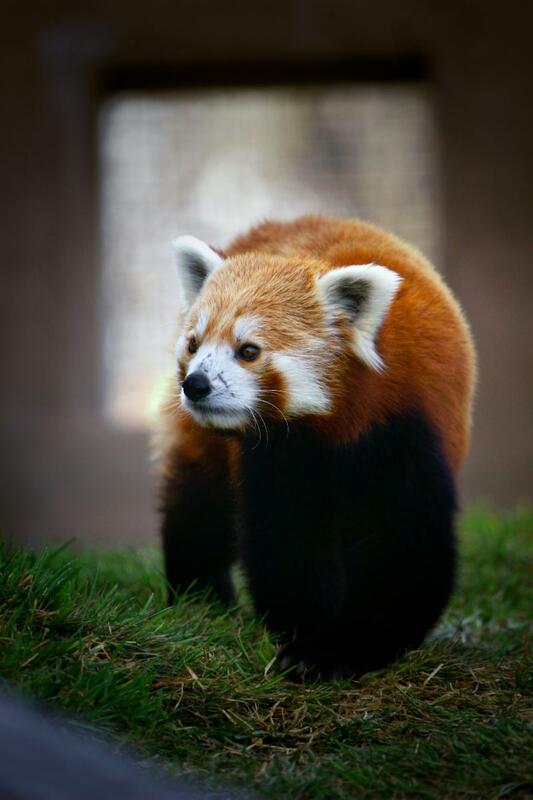 The Janet Q. Lawson Red Panda exhibit is named after long-time Zoo board member and generous donor to the Zoo. The 3 1/2 year-old male and the seven year-old female will make Hogle Zoo their permanent home once the exhibit opens. Currently at Reid Park Zoo in Tucson, AZ, the two are already familiar with each other and get along great. Everyone wants to know: Will there be babies? Yes – it’s hopeful, eventually. Utah’s Hogle Zoo is partnering with the Red Panda Network – hard at work saving this beautiful species in its native habitat. Numbers of red pandas in the wild are estimated to be fewer than 25,000 due, primarily, to loss of habitat and the illegal pet trade. Learn more about Red Pandas. The Zoo is proud to bring back this photogenic species after a 10 year hiatus and eager to connect Utah to their friends in the far reaches of the Himalayas. -Red Pandas live in the mountainous areas of Nepal and southwestern China. -Red Panda diet consists mostly of bamboo. -Red Panda gestation is roughly 4 1/2 months and litters are typically two cubs. -Red Pandas have thick fur over their entire body, even the soles of their feet to conserve body heat. Every time you visit the Zoo, you are helping animals in the wild. This entry was posted in News: New To Our Collection, News: Press Release, Press Release, What's New on February 8, 2018 by Jay.